Too much to do, literally not enough time to do it. Especially when so many of the different events overlap, when you have to stand in line, when you’re hoping to get your hands on some of that incredibly cool EXCLUSIVE merchandise, you’ve got to be prepared. At Disney Nerds, we are hoping to help do that for you. Planning is everything and with the right knowledge, you can maximize your D23 Expo experience. To Sorcerer’s Package or Not To Sorcerer’s Package? – While it’s too late to buy it (by about a year – can you believe it? ), many of you are curious about whether or not its even worth it. For the first time ever I shelled out the big bucks for it (on my bucket list) and we’ll see if I even attempt to do it again. They sell out ridiculously fast (within 30 minutes) so find out why! 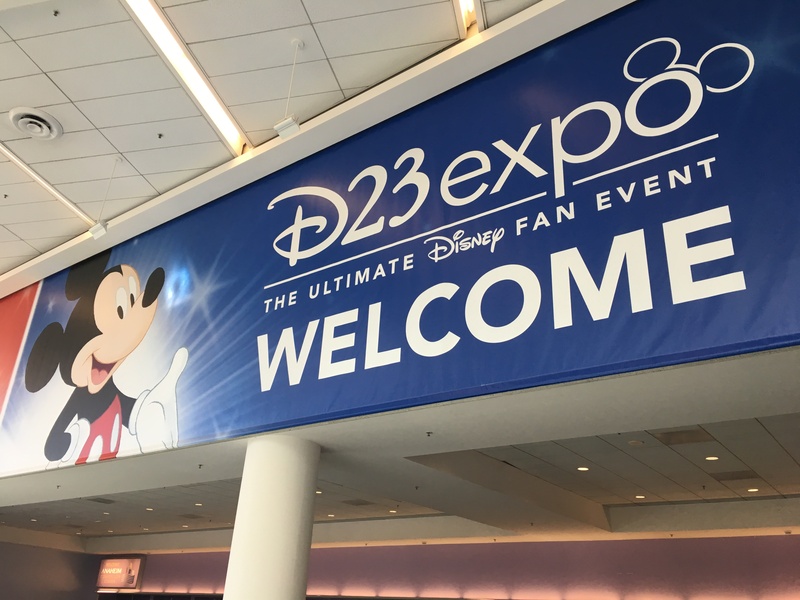 5 Tips for A Better D23 Expo Experience – Take advantage of my experience going to this ever growing convention of loyal Disney fans and find out what you can do to make it more fun! Countdown to D23 Expo – A Sorcerer’s Journey – Join me as I explore for the first time what it means to be a Sorcerer at D23 Expo! I’ll give you all the reveals as I get them so you can decide for yourself if it’s worth it. Decisions, Decisions, Decisions – A Sorcerer’s Journey Part 2 – Figuring out what to see and what NOT to see is tough! But I’m so excited to figure it out. What will you see? Find out where I am and come say hi. Preview Day! – A Sorcerer’s Journey Part 3 – As part of being a Sorcerer ticket holder, you get a special preview day where you get on the floor before everyone else, get a sneak peek at what’s about to happen, and have some exclusive experiences. Shopping Takes Priority – A Sorcerer’s Journey Part 4 – Making the most of your Sorcerer privileges still means choices and for me, shopping became priority number 1. Find out why it should be for you, too! Fun, Surprises, and Live Action! – A Sorcerer’s Journey Part 5 – Missing out on some things, even as a Sorcerer is part of the deal. But more surprises were in store on Day 2 – especially at the Live Action Presentation and the Theme Parks Presentation! 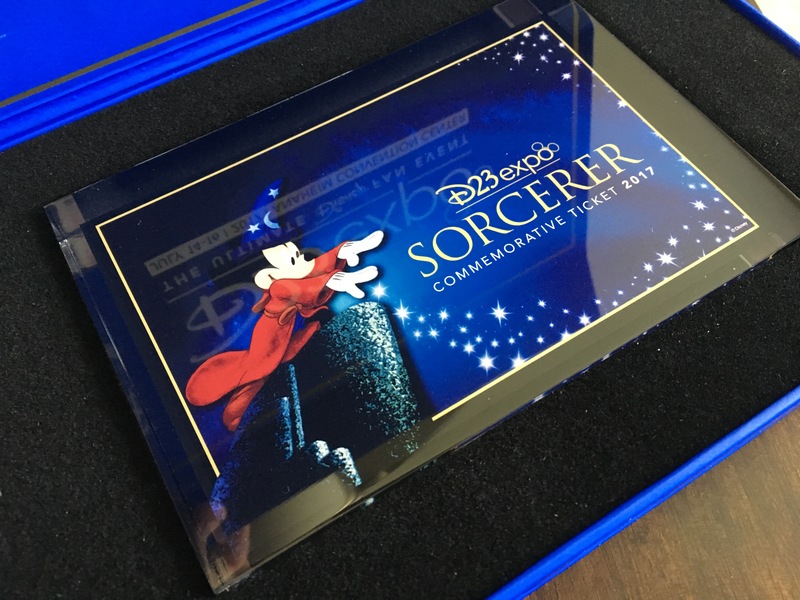 One of the MANY perks of being a Sorcerer ticket holder – including this commemorative ticket! 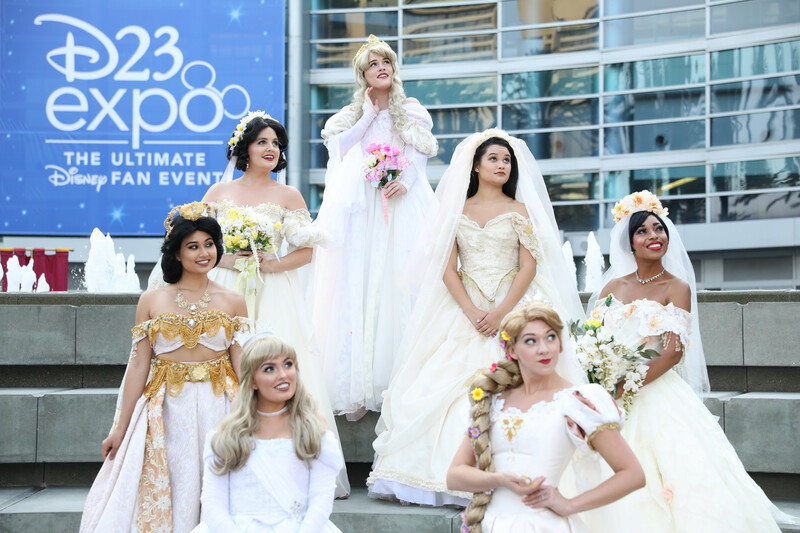 Cosplay at D23 Expo – A short recap of some of the awesome cosplay you’ll see at D23 Expo! What are you most looking forward to at D23 Expo 2019? I hope to see you there!